Alpha Chi is a coeducational society whose purpose is to promote academic excellence and exemplary character among college and university students and to honor those who achieve such distinction. Its name derives from the initial letters of the Greek words ALHQEIA, meaning TRUTH, and XAPAKTHP, meaning character. Alpha Lambda Delta was founded at the University of Illinois in 1924, specifically to honor excellence in academic achievement by students in their first year of study in higher education. The constitution states its purpose as follows:”…to encourage superior academic achievement…to promote intelligent living and a continued high standard of learning and to assist students in recognizing and developing meaningful goals for their roles in society.” In addition to the initial recognition described, the Society has numerous programs to encourage continued superior classroom performance, such as awards, national workshops, campus activities and fellowships and loans for undergraduate, graduate, and professional study. A student must be enrolled full-time for a course of study leading to a bachelor’s degree. The minimum scholastic average is a grade of 3.5 or above. Eligibility is based on either grades of the first full curricular period or on the cumulative average of the first year in college. Once initiated, the student becomes a life member of Alpha Lambda Delta. Chi Alpha Epsilon was formed to recognize the academic achievements of students admitted to colleges and universities through non-traditional criteria or who utilize developmental and educational support services. Its purpose is to promote continued high academic standards, foster increased communication among its members, and honor the academic excellence of those students admitted to college via developmental/opportunity program pathways or for those who participate in Student Support Services. The involvement of eligible alumni further enables networking for members. Programs sponsored by the society’s chapters encourage other students toward academic accomplishment. Students who hold a 3.0 cumulative GPA. for two consecutive full-time semesters, or 3 or 4 consecutive part-time semesters, and who were admitted to the university via developmental or higher education opportunity type programs, as well as students who participate in the Student Support Services, Federal Grant Programs are eligible for membership. 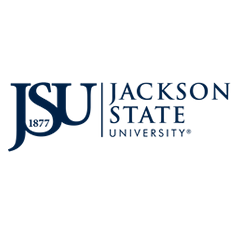 Muslim Student Association (MSA) at Jackson State is a campus-based organization that provides weekly religious service for Muslim students but all students, regardless of religious affiliation, are welcome to join. The MSA also provides counseling, student support as well as serves as an outreach agency for interfaith dialog and collaboration. Its mission is to provide better understanding between Al Islam and other religious groups. Golden Key International Honor Society is an international honor society whose purpose shall be to enable members to realize their potential through the advancement of academics, leadership and service. In order to receive an invitation to join GK, the student must hold a grade point average (GPA) of a 3.5 or higher and must be university sophomores, juniors, and seniors, as well as top-performing graduate students in all fields of study, based solely on their academic achievements. Activities of the Jackson State University chapter shall be community service projects, fundraisers, educational/academic programs and other activities that are deemed necessary and worthwhile by the executive board.